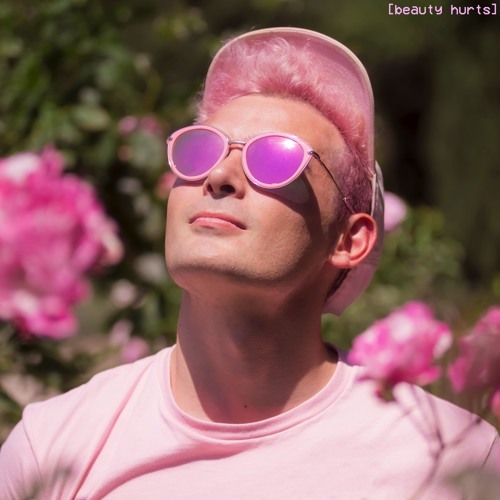 California-based singer/rapper Jack Be has just unveiled his solo single Beauty Hurts. The song is highly addictive with a super smooth beat and his lovely vocals taking centre stage. I really like the tone of his voice and his rap is quite good. The guitar chords give the song a relaxing, summery vibe. Beauty Hurts is a refreshing take at hip-hop and I am loving it! To accompany the release Jack Be unveiled a music video which was shot completely on a VHS camera and bathed in a dreamlike, pink toned soundscape which matches the song's mood perfectly. Watch the video below! I think in the current wave of underground hip hop there's often a distinct avoidance of emotional content. Cold is cool right now, not caring is cool - if you don't care you can't be hurt. I personally come from a place where I just enjoy having emotions at all after a long time struggling with depression and numbness. At this point I'm ecstatic to be heartbroken, cause that at least means that at some point I really loved somebody. Jack Be first started off as part of the hip-hop duo Flowrunner, along with EDM artist Brigsby. Beauty Hurts is the first single off his brand new EP, Cool New Trash.